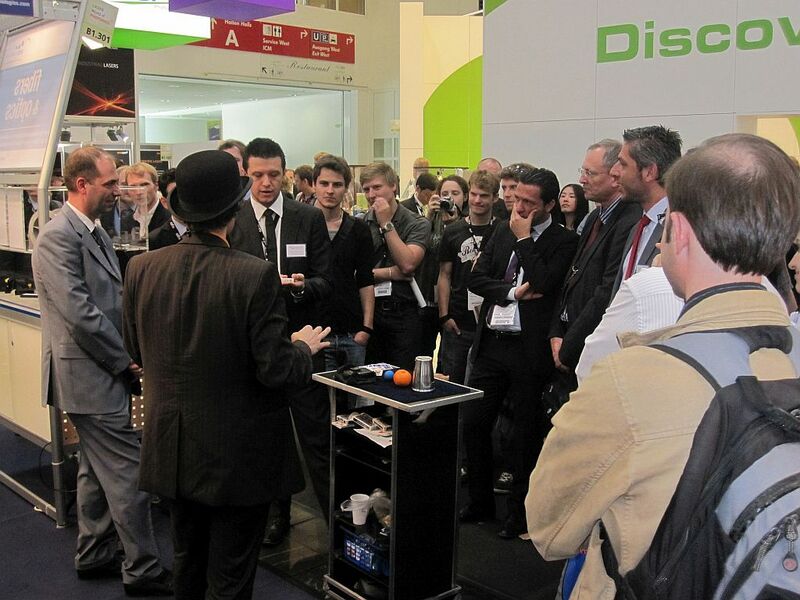 Presentations involving magic are becoming increasingly popular at exhibitions and trade fairs across Europe and the US. This is due to the fact that it is always much easier to bring your message across or present a new product when people are being entertained in the process. So, how can René make magic work for your company? 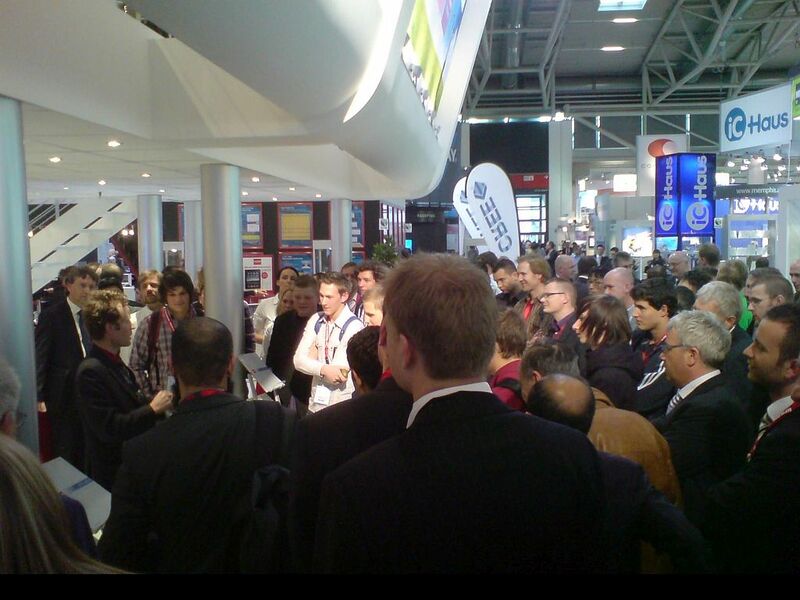 Let’s assume that you are presenting a new product at an exhibition that your company will attend. 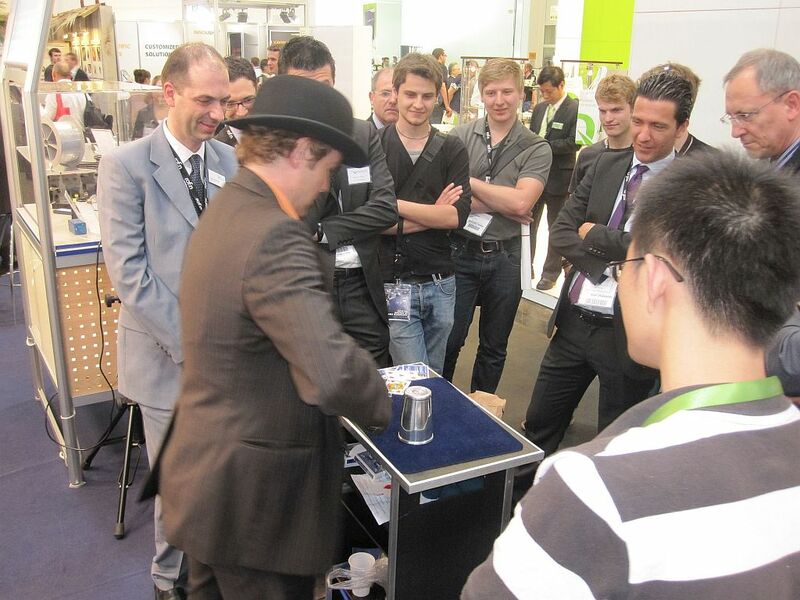 Firstly, René will make use of his sleight-of-hand and entertainment skills to ensure that potential clients stop in front of your exhibition booth instead of just walking past. 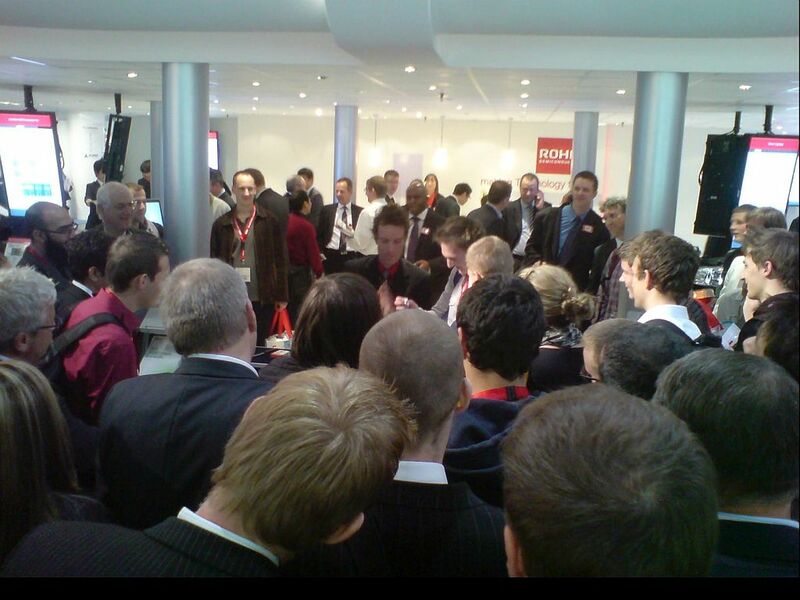 After René has captured their attention and helped to ‚break the ice‘, your sales representatives can take over and provide more detailed information about your (new) product. 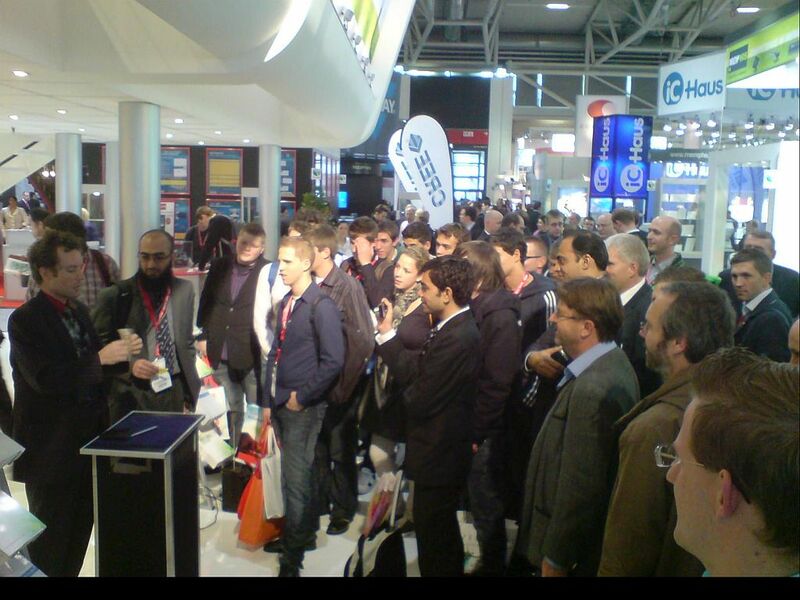 The alternative to this is to have René present the product for you. Naturally, this will require more time and effort on the part of both you and the artiste but can be extremely rewarding for your company. To begin with, we will sit together and discuss your company’s aims. René will make suggestions as to how your product could be presented and then work on a presentational form to effectively ‚bring across‘ the product in question and the key message that you wish to convey. The combined magic and entertainment factors will help to make a potentially uninteresting presentation shine through and hold the audience’s attention for longer. And this will aid in helping customers remember and see your company and your product in a positive light. The evening’s entertainment at your exhibition stand. 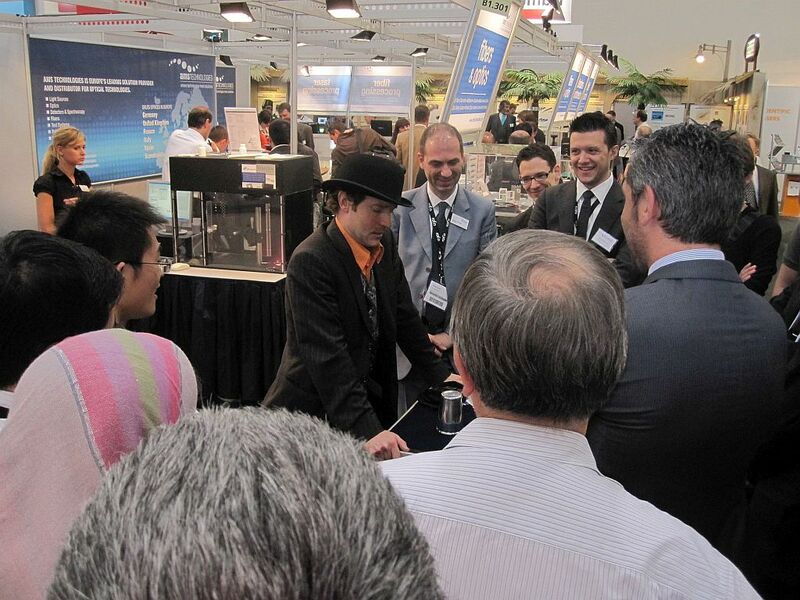 You may also want to consider ‚close-up‘ magic for your corporate clients during the booth party or a gala dinner in the evening. This can be presented in many different languages depending on the nationalities present. René will astound, not only with his close-up illusions, but also with his foreign-language skills. Besides native English and German, he speaks fluent French, Spanish and even has a working knowledge of Japanese! !